The Trump voter fraud agenda has arrived in New Hampshire. A law in New Hampshire is the first sign of a new era of voter suppression. New Hampshire residents who register to vote within 30 days of an election may soon find an unexpected presence at their door: state investigators and law enforcement officers demanding proof that they live in the state. And for that, they can probably thank Donald Trump. Republican lawmakers in New Hampshire have been eager to pass a voter suppression measure since they seized control of the state legislature in November. That victory was accompanied by close defeats for Trump, who lost the state to Hillary Clinton by less than 3,000 votes, and GOP Sen. Kelly Ayotte, who fell to Democrat Maggie Hassan by a mere 743 votes. Many Republicans attributed those defeats to fraud at the polls. Trump, for his part, asserted that both he and Ayotte would’ve carried the state if “thousands” of people had not been “brought in on buses” from Massachusetts to “illegally” vote in New Hampshire. Trump’s wild conjectures about voter fraud haven’t been limited to the Granite State. He has claimed that 3 to 5 million people cast ballots unlawfully in November and recently established a commission to investigate “improper” and “fraudulent voting.” But New Hampshire’s SB3, which the legislature sent to Republican Gov. 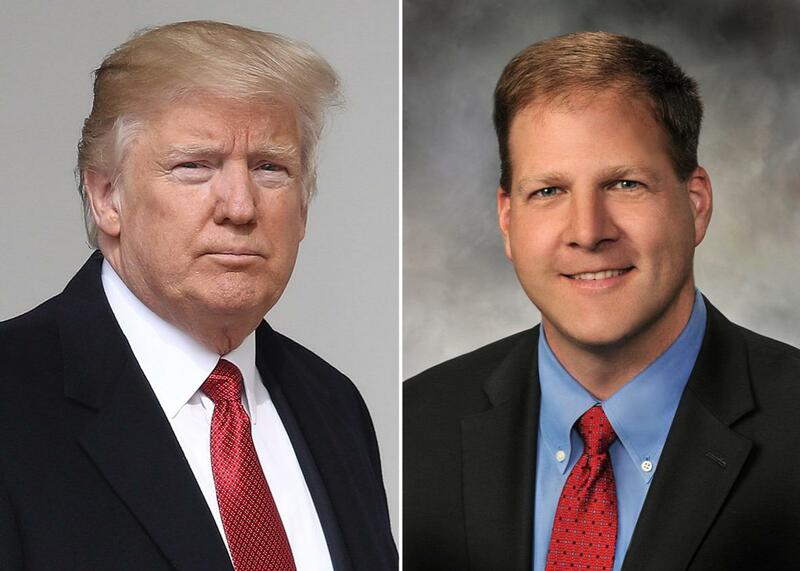 Chris Sununu last week, and which Sununu is expected to sign, marks the first concrete consequence of the intense, Trump-stoked voter fraud paranoia that followed the election. The president’s goading provocations have provided cover to New Hampshire Republicans, allowing them to push through a measure that legalizes voter intimidation while disproportionately burdening Democrats. For many years, voting in New Hampshire was relatively easy: The state permitted voters to register all the way through Election Day and required no photo identification. In 2011, however, Republicans passed an ID requirement over the veto of then-Gov. John Lynch, a Democrat. The law allows voters without IDs to sign affidavits to cast ballots, though they must let poll workers take their pictures, a mandate that voting rights advocates liken to mug shots. SB3 addressed this ostensible problem by tightening residency and documentation requirements for voters. Under the bill, only individuals who have lived in New Hampshire for longer than 30 days before an election may cast ballots. To prove their residency, voters who register within 30 days of elections must “furnish documentary evidence of domicile,” such as tax forms, leases, or driver’s licenses. If the voter doesn’t have this evidence on hand when she registers, she can sign an affidavit instead. She must then bring the necessary forms to a town hall shortly after an election is held. If the voter fails to follow up, she risks serious legal trouble. An earlier version of the bill allowed police officers to stop by the voter’s address; Birdsell ultimately removed that clause and replaced it with an equally troubling provision that directs Department of Justice investigators to verify domiciles. As the state Senate’s legal counsel pointed out, police officers also retain authority to verify domiciles, meaning the bill licenses both state investigators and law enforcement officers to show up on voters’ doorsteps demanding confirmation of residency. Any voter who cannot provide this evidence may be fined and prosecuted for voter fraud. Secretary of State Bill Gardner, a Democrat, endorsed SB3 as a good-faith effort “to prevent ‘drive-by’ voting.” In May, he agreed to serve on Trump’s voter fraud commission. The bill received virtually no other Democratic support. SB3 is a dramatic reaction to a crisis that simply does not exist. It purports to stop a practice, “drive-by voting,” that was invented to help Republicans suppress Democratic votes. It is rooted in a paranoid fantasy but will have serious real-world repercussions; it seems designed to scare residents, particularly students, out of registering to vote, for fear that they might end up in prison. These consequences are designed to be frightening, to convince likely Democratic voters not to bother. With this bill, New Hampshire has taken the lead in voter intimidation and given Republican officials across the country a new tactic in their fight against the franchise. *Correction, June 8, 2017: Due to a production error, the photo caption on this page originally misstated that New Hampshire’s governor is pictured on the left. Gov. Chris Sununu is on the right.